Posted byThe Traveloid January 14, 2019 April 14, 2019 Leave a comment on What should you do if you miss your connecting flight? The reasons for missing your connecting flight can vary, but the great news is that you may be entitled to compensation in a few cases. The first thing you should do when you missed your connecting flight is to stay calm. Do not let the panic get the better of you. If you missed your flight connection due to airline’s fault, the operating air carrier is responsible for compensating you. However, if you miss the flight through your own fault, unfortunately, you will need to arrange a new flight on your own. Although refunds are rare, it’s worth seeing if you’re eligible by contacting the airline company. As per EU Regulation 261/2004, if the airline is responsible for a missed connection, you are entitled to compensation. Not only that, but you are also entitled to receiving other benefits too. Any flight operated from an EU airport, or through an EU airline to an EU airport, must offer you this compensation. Did you check-in in time? If you want to claim compensation from the airline, your initial step should be to check in on time. Many airports advise their travelers to arrive two hours before their scheduled journey. This will ensure that you have enough time to check in into your flights. Apart from that, certain airlines request passengers to arrive at least 45 minutes before departure. If they do not, the airlines are entitled to deny the entry to the customers if they check in later than that. If the airline allows the passengers, they will be late in their departure which will eventually cause delayed flights. You may often find huge queues at the airport on your arrival. Even if you have to wait for long queues, the airline is entitled to deny your entry. As per the European Union Regulations, you need to enter the airport in time with plenty of time in hand. However, you cannot be totally blamed for the incident if there is any technical error, the airline is overbooked, or if the captain overslept. Under what conditions are you entitled to compensation? How much compensation amount will you receive due to flight delay? Passengers traveling a distance of 1500-3500 km will receive compensation of €400. Passengers traveling a distance of more than 3500 km will receive compensation of €600. If airlines deny to pay you for your legal claim then you can seek the help from Claim Flights. They are the registered European Claim & Legal Service Provider which help stranded passengers around the globe. You can easily file your claim through their website and they will work for you on No Win-No Fee basis. What should you do if you miss your flight due to personal reasons? Once you have missed out on your connecting flight, the first thing that you should be doing is to get in touch with the airline. Some airlines offer customers the ability to change their booking for a fee. If you can fly later, it’s worth enquiring about this for both the first flight and the second. Make sure you leave enough time to make the connection when you rebook. 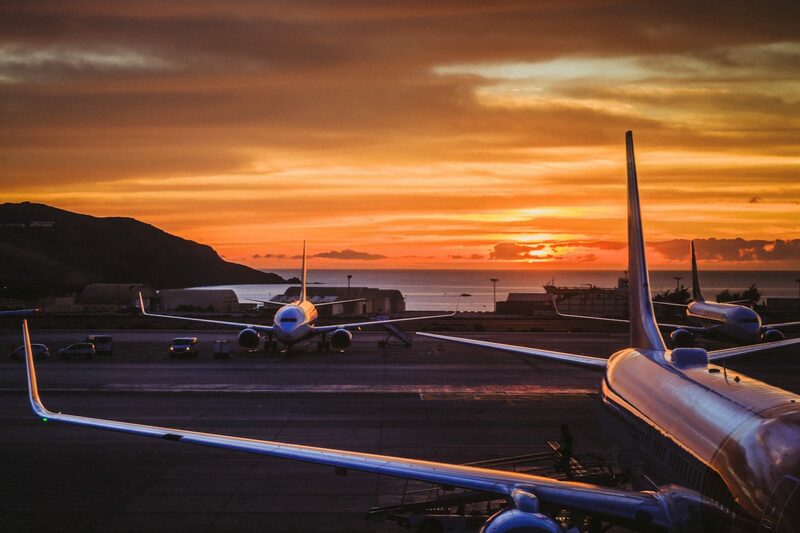 It’s worth checking how much time the airport that you’ll be changing flights at recommend. Remember, it can vary depending on which gates your two flights unload and depart from. What to do if you have missed out on the connecting flight after reaching out for your first flight? Contact the airport baggage claims to let them know you’ve missed your flight. This will ensure that the airport staff will keep your baggage safe until you receive them. If you caught your first flight but missed out the connecting flight, the airlines may ask you to wait for the next flight available. Should you book a new flight entirely? If you need to be somewhere fast, and your airline hasn’t given you the options you’d like, you can also look at getting a one way ticket from another airline. However, be very careful if you want to fly to to your layover destination and then pick up on the second leg of your original booking. If you miss the first leg of a flight, your airline may classify you as a no-show, and cancel the subsequent legs of your journey too. It’s always worth talking to your airline before you take the plunge on a new ticket, and if you do, it’s usually much safer to find a route direct to your final destination. If you aren’t able to make it to your destination on time, remember to inform your hotel. This will help to avoid any extra charges there, or eliminating any risk of your room booking being cancelled if you don’t show up on the day you’d booked. It sounds obvious, but the best way to avoid missing a connecting flight is to ensure you arrive on time at the airport, and that you have enough time at the intermediate stop to make the connection. Sometimes, even travel agents make mistakes, so if they’ve booked you on specific flights and you’re unsure whether there’s enough time for the connection, it’s worth asking them before you buy!